THAI NGUYEN (VNS)— The rampant and illegal mining of sand from the Cau River is reported to be causing headaches for some local authorities. The mining is creating havoc along the banks of the river despite assurances by authorities during the past two years that inspectors from Thai Nguyen Province continue to search for illegal operators. The removal of the sand for building projects is affecting the flow of the river and damaging vegetation along the banks. Officials said the mining was occurring in several districts, including Phu Binh and Phu Luong. 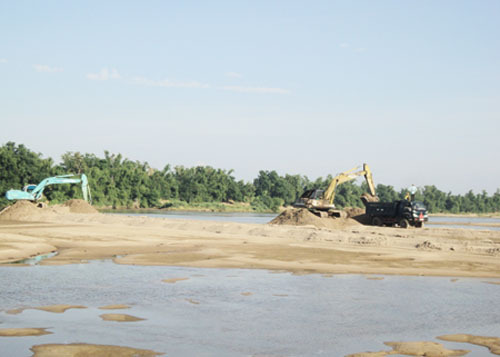 Chairman of the District People's Committee, Hoang Thanh Giao, said that at busy times up to 50 sand-mining vessels were removing sand from the river flowing through the district. Last year, he said that district inspectors seized 41 sand-mining vessels. 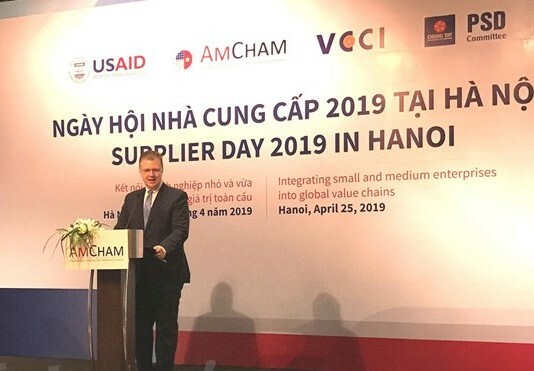 However, in Phu Luong District, according to aVietnam News Agency correspondent, district inspectors did not seem to know when and where the miners were operating, even during daylight hours. To date, two sand-mining vessels have been fined a total of VND27 million ($1,250). The head of the provincial Natural Resources and Environment Department, Doan Van Tuan, said provincial inspectors would be sent to the districts to try and bring the situation under control by the end of next year. Under the plan, the heads of commune will be disciplined if local residents are found to be involved in the illegal and highly profitable activities. At present, the province has issued six working licences for five sand-mining companies through open bidding.